The Historic Core continues its zealous surge of redevelopment with the current restoration of The Trust Building on Spring Street. Rising Realty Partners has just released its first renderings of the building’s ambitious makeover—the largest restoration project to take place on Spring—and it’s a total stunner. 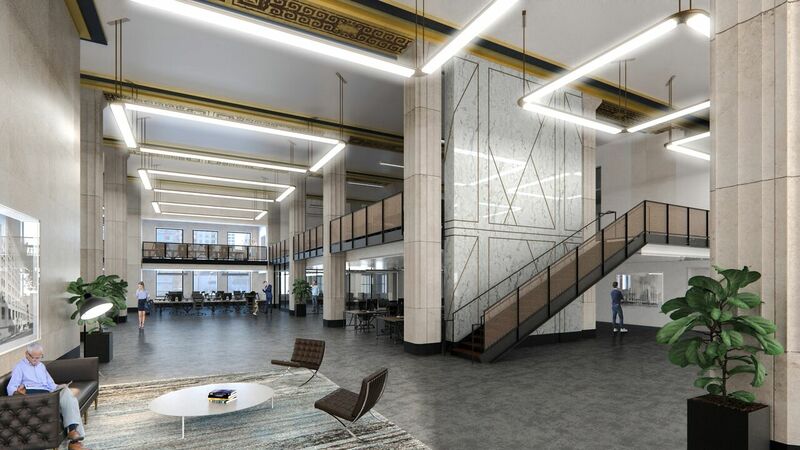 A historic gem of the Old Bank District, the 11-story Art Deco building will be retrofitted with creative offices above ground-floor retail and restaurant space, all while retaining its historic character and architectural integrity. Its grand re-opening is slated for Summer 2018. 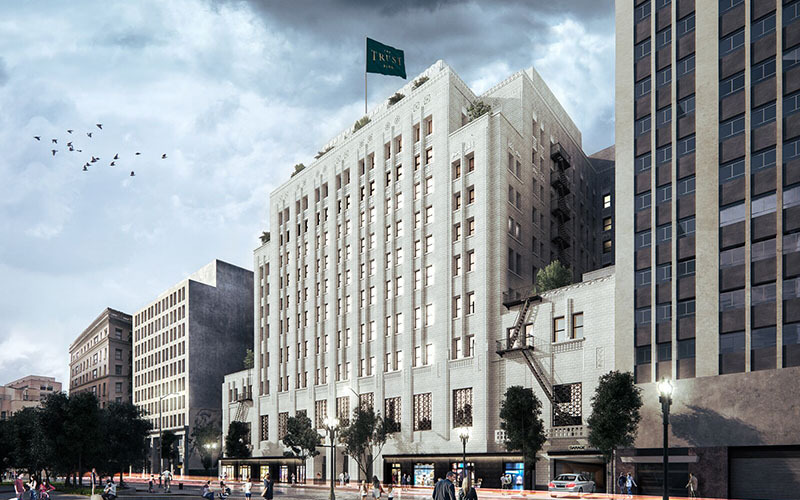 “The Trust Building is one of the finest examples of Los Angeles’ iconic Art Deco architecture, and we are taking the appropriate time, care, and investment to bring this landmark back to its full glory,” said Christopher Rising, founder and president of Rising Realty Partners. 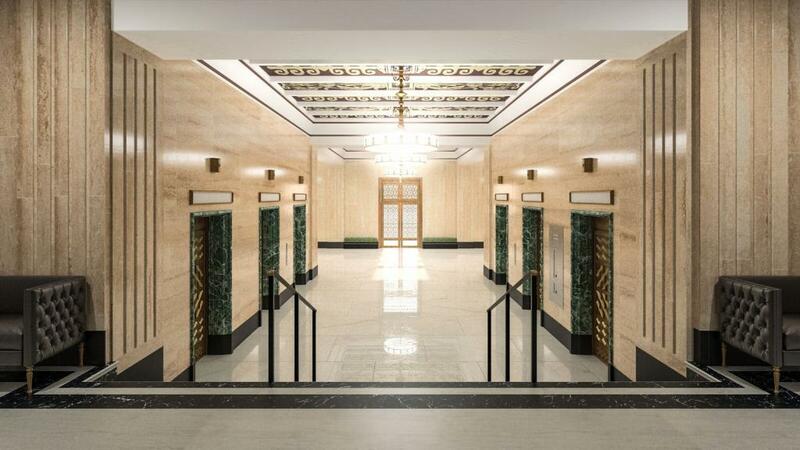 Rest assured that the exterior façade, main lobby, and banking hall will all be restored to their 1930s and 1940s glory. 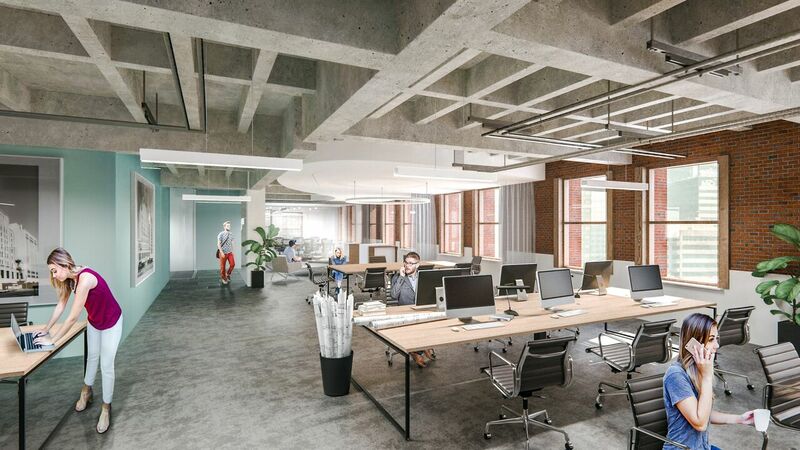 A major highlight of the renovation includes an outdoor terrace on the 11th floor, rife with greenery and stunning skyline views—throw in free wifi and this will be your new go-to work spot (stay tuned on the free wifi). But with the construction of the freeways in the 1950s and 1960s, the city’s inevitable sprawl led to downtown’s decline. Along with individuals, businesses flocked to the suburbs, Title Insurance and Trust included. The company formally left their namesake building in 1975. 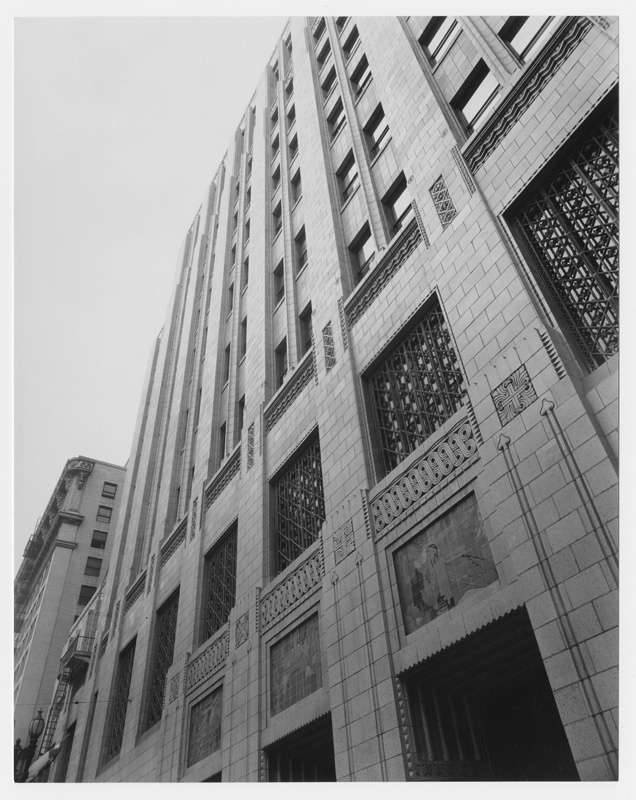 Since then, the building has swapped ownership numerous times and has assumed a mutable, albeit fascinating, identity—from 1989 to 1993, it housed the Los Angeles Central Library after a fire damaged the permanent location on Fifth Street. It’s also become one of Hollywood’s most active filming locations, most notably playing the part of the Gotham Stock Exchange in the Dark Knight Rises. 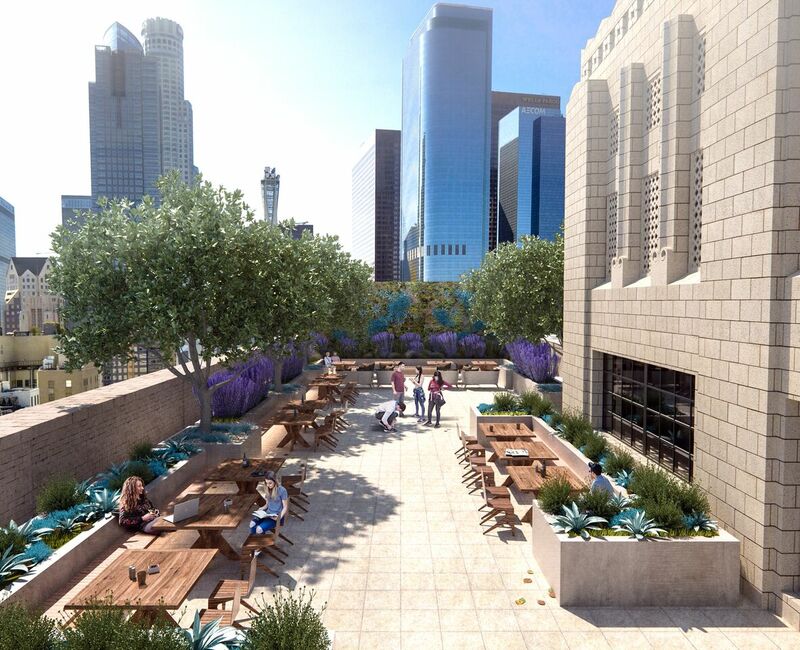 This next chapter of The Trust Building will be its most exciting yet, standing as a relic of DTLA’s illustrious past and a symbol of its vibrant future. Next articleAxis Mundo: Queer Networks in Chicano L.A.